When you’re ready to gain muscle mass while minimizing (or eliminating) fat gain associated with weight gain, following the right muscle building diet plan is crucial. But perhaps one of the most important components of a muscle building plan for men, is using the right strength training regimen. Dr. Anthony’s background makes him uniquely qualified to perfect the OSM program. He’s the Founder of the Fit Father Project, holds a Bachelor’s degree in psychology, a secondary degree in nutrition, and graduated medical school as a naturopathic physician. He's also a former clinical researcher and national champion bodybuilder. Weight loss diets contain 500 to 1,000 fewer calories than your usual intake, or about 1,500 to 1,800 calories per day for men. Weight gain diets consist of eating 350 to 750 additional calories (more than your usual intake) daily to gain about 1 pound of muscle per week, suggests the National Strength and Conditioning Association (NSCA). Active men over 40 often need 2,600 to 2,800 calories daily to maintain their weights, according to the Dietary Guidelines for Americans 2020. Therefore, a muscle building diet plan for men over 40 generally consists of eating 3,000 to 3,500 calories per day. To get in the extra calories needed for muscle mass gains, choose nutrient-dense, higher-calorie foods and eat often throughout the day (every few hours or so). Consume 1.5 to 2.0 grams of protein per kilogram of body weight (0.68 to 0.91 grams of protein per pound of body weight) per day. Eat protein frequently throughout the day. Consume protein before and immediately after strength training workouts. Therefore, if you weigh 150 pounds and want to bulk up, aim to eat at least 102 to 137 grams of protein each day. A good rule of thumb is to consume about 30 to 45 grams of protein at each meal, depending on your daily protein needs, as this amount is associated with muscle mass and strength gains in numerous research studies. Fill about 1/4th of each plate with non-starchy protein, such as meat, fish, seafood, poultry, eggs, tofu, or reduced-fat cheese. You don’t have to worry about following low-carb meal plans when you’re trying to gain lean muscle mass, but make sure to choose carbs wisely. Aim to get about 40 to 55 percent of your daily calories from carbs, or 3 to 5 grams of carbs per kilogram of body weight daily during a strength training program for weight gain, suggests the National Strength and Conditioning Association. This equates to eating 1.4 to 2.3 grams of carbs per pound of body weight each day. Generally speaking, fill about 1/4th of each plate with starches to meet your daily allotment when following a muscle building diet plan. About half of each plate should be from vegetables (or veggies plus fruits mixed in). Dietary fat is extremely beneficial for a muscle building weight gain diet. That’s because while protein and carbs each contain 4 calories per gram, fat provides you with 9 calories per gram. About 20 to 30 percent of your calories should be from dietary fat, suggests NSCA. 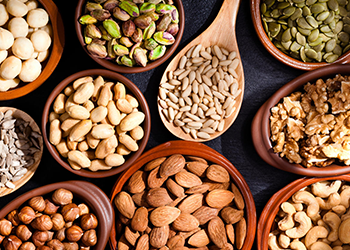 Adding nuts, seeds, oils, avocados, and even cheeses to meals and snacks is an excellent way to boost your overall calorie intake as part of a muscle building diet plan. Regardless of whether you’re trying to lose or gain weight, taking in plenty of water is crucial to keep energy levels high — especially during workouts. Men often need about 16 cups of fluids each day; sometimes more when they participate in regular sweat sessions. For best weight gain results, drink a protein shake before and after workouts to maximize muscle growth. Adding between-meal protein shakes to menu plans is beneficial when you’re following a muscle building diet plan, especially when drinking shakes before and after workouts. 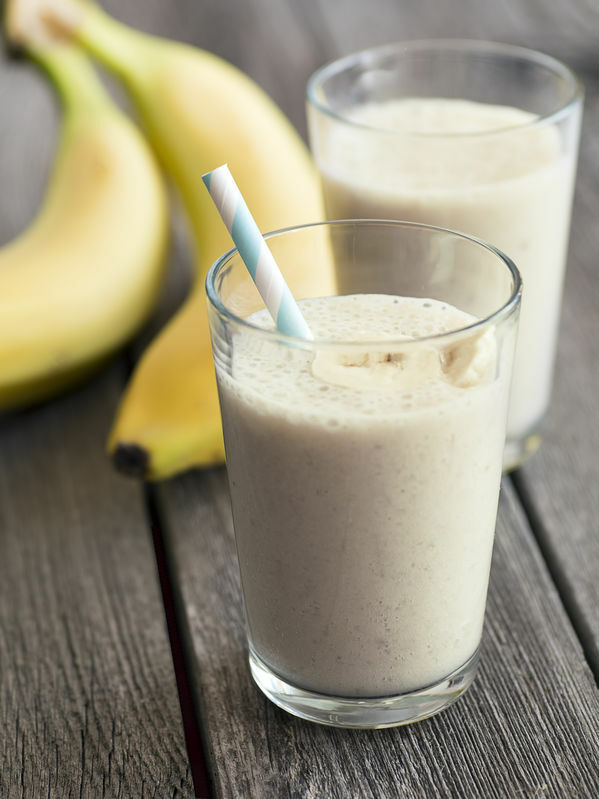 Change up your protein shake recipes daily, and you’ll never be bored! When muscle gain is your goal, many active men over 40 need about 3,000 to 3,200 calories a day in addition to following an effective strength training program, such as Fit Father Project’s Old School Muscle program. The sample menu below provides about 3,085 calories to achieve muscle-building weight gain. Add additional high-calorie ingredients to it (extra oils, nuts, seeds, avocado, or cheeses, for example) if you need some extra calories. You can add or subtract ingredients and calories based on your individualized weight gain calorie needs. When you’re in the mood for a nutritious, mouth-watering breakfast idea, consider this sweet potato crusted quiche recipe to get your morning started off right. You’ll use sweet potatoes, cornmeal, almond flour, eggs, and seasonings for your crust — and eggs, almond milk, onions, cheese, dried tomatoes, and seasonings for the quiche filling. When you eat 1/6th of this quiche pie, you’ll be getting about 365 calories. Pair this breakfast recipe with 3/4 cup of Greek yogurt for a total of about 500 calories at breakfast. Sprinkle 1/3 ounces of sliced almonds on top of the yogurt to gain an additional 50 calories. Lentil pesto pasta makes the perfect addition to any weight gain meal plan, as it’s loaded with protein, carbs, and healthy fats. Try this recipe to prepare your pesto pasta by combining cooked lentil pasta with pine nuts, olive oil, shredded parmesan, and seasonings. Once your pesto pasta (containing about 400 calories per serving) is complete, top it with grilled chicken strips and avocado slices to add extra protein and heart healthy fat calories to your dish. The main ingredients in this protein-rich weight gain recipe are chicken, asparagus, oil, and seasonings. The recipe itself provides about 268 calories in each 1 1/4 cup portion of chicken and asparagus stir fry. Add sesame seeds to your stir fry recipe, plus 1 cup of cooked brown rice or quinoa to complete a muscle-building weight gain meal containing about 500 calories. Replace chicken with very lean beef or pork if you’d like to. When you’re in the mood for a nutritious between meal snack, or a pre- or post-workout protein-rich fuel source, consider this no-bake protein energy ball recipe. Ingredients in the recipe are rolled oats, vanilla protein powder, chia seeds, peanut butter, honey, raisins or dark chocolate chips, almond milk, vanilla extract, and cinnamon. You can replace raisins or chocolate chips with nuts or seeds, if you’d like to add additional protein. Remember, an ideal goal is to gain about 1 pound of muscle mass each week until you reach your goal weight. Don't forget to get plenty of sleep (7 to 9 hours each night) to keep energy levels high. You can do it! What Is the Maximum Amount of Muscle You Can Gain in a Week?